Failure to fully disclose information in a real estate transaction can result in devastating financial consequences. If you need a skilled lawyer present during your closing or you fear that defects were not disclosed during the transaction, contact our firm today. We can listen to the facts of your case and provide legal advice regarding your best course of action up to and including courtroom litigation. With experience in business law and real estate law, we at the Olen Law Office understand the financial impact of defects or health issues in both residential and commercial real estate transactions. Clients trust us to guide them through these potentially complex matters and to provide exceptional service from start to finish. 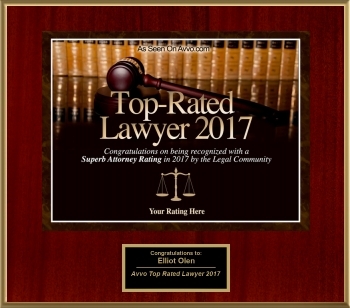 If you have suffered financial harm due to concealment, do not hesitate to contact a Bucks County failure to disclose property defects attorney at the Olen Law Office. This list, unfortunately, is far from complete. If you have purchased a property only to realize that there was an existing issue that was not disclosed, contact an attorney as soon as possible. If you have further questions regarding concealment and failure to disclose, we encourage you to schedule a consultation at the Olen Law Office. We can be reached by calling 215-943-5343 or by completing our online contact form. To better suit your needs, we are able to conduct business online and we accept all major credit cards.